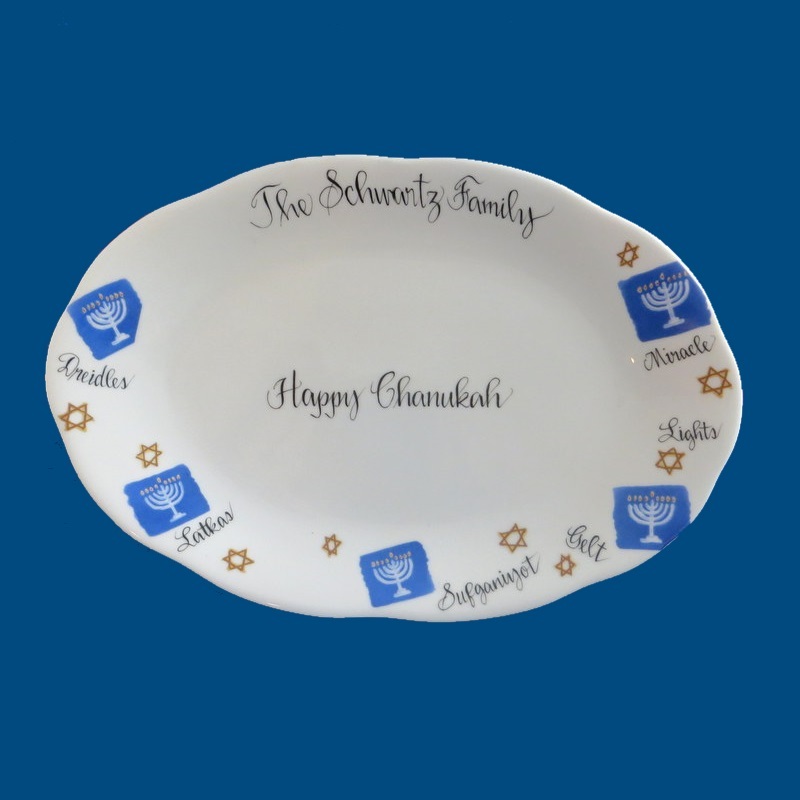 Our personalized hand painted white porcelain Chanukah platter is a fabulous hostess or holiday gift for the celebration of Chanukah. It features a fun whimsical menorah and Jewish star design, has "Happy Chanukah" written across the top, and the family name is hand painted in the center. Bev personalizes the platter with words about the holiday of Chanukah. A short personal message can be hand painted on the back. For example, "Wishing you a wonderful Chanukah! Love, Heidi and Steve." A gift box with tulle ribbon and enclosure card is complimentary with your purchase.